In May 2017 I had the great pleasure to meet the renowned designer Marc Newson CBE, and take portraits of him at his home in London. I was delighted when Vogue, London, commissioned a portrait of the designer for their April 2018 issue. 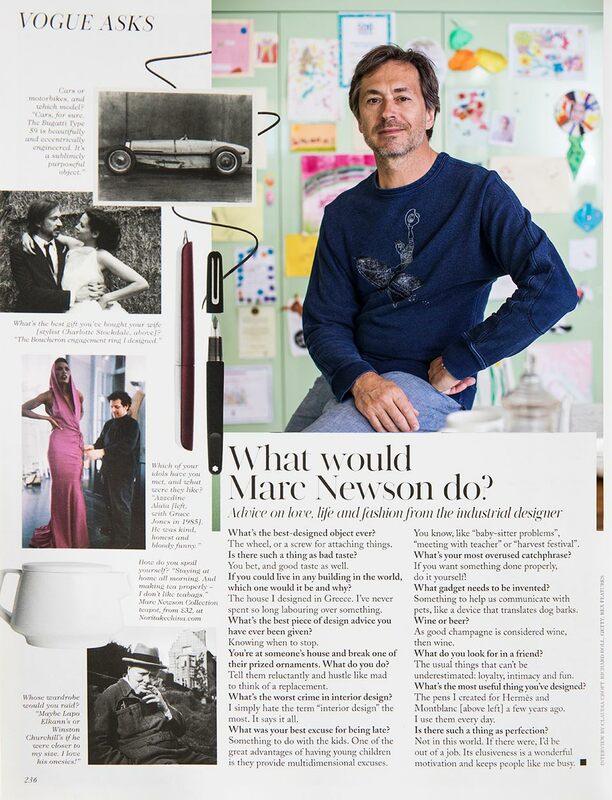 Marc Newson was included in Time magazine’s 100 Most Influential People in the World, and his work is held by many major museums, including MoMA, New York, the Design Museum in London, the V&A and the Vitra Design Museum. He has set various records at auction, and his work now accounts for almost 25% of the entire contemporary design art market.